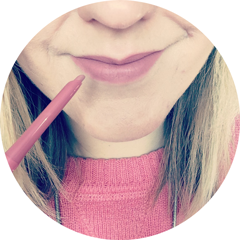 There are so many beauty products out there that sometimes it's hard to find something that it isn't just a similar variation on another. The Sweet Orange and Frangipani Body Butter from Conscious Skincare does not fall into this category; this is a body butter like no other I've tried or heard of. Before I explain why, I'll tell you a little bit about the brand. 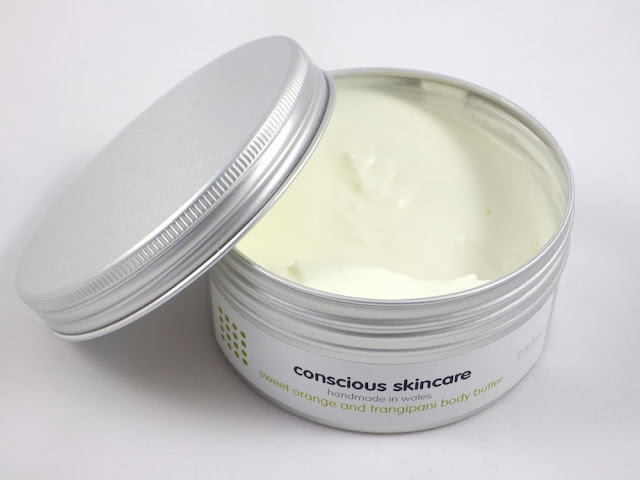 Conscious Skincare is based in Wales, a brand that produces individually handcrafted, made to order face and body products using plant based, organic and fair trade ingredients wherever possible. Their products do not contain SLS, Parabens, Phtalates, Synthetic or Chemical Preservatives, Colour or Fillers. Conscious Skincare use packaging that is recyclable or made from recycled materials where possible and even generate their own electricity and hot water on site using solar technology. This is certainly a brand that is very mindful of the environment. Their philosophy is making "beautiful items, lovingly packaged with a clean conscience". The Sweet Orange and Frangipani Body Butter comes simply packaged in an aluminium pot, which holds 250ml of product and is worth £18.99. Ingredients include Organic Coconut Oil, Shea Butter and Sweet Almond Oil, Organic Fair Trade Cocoa Butter, Beeswax, Vitamin E and essential oils of Sweet Orange and Frangipani. The scent is deliciously sweet and rich and smells just like icing on a carrot cake! It certainly isn't a scent for those who prefer their fresh or subtle fragrances. 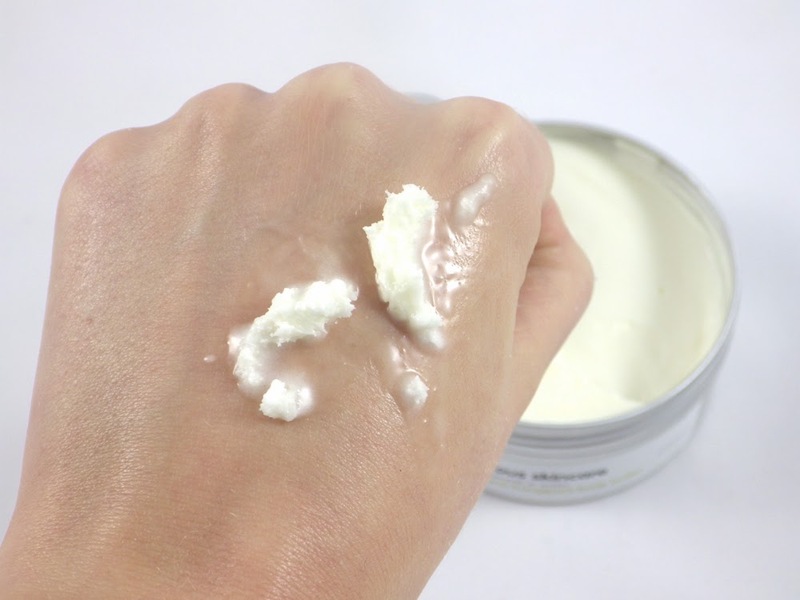 The formula is what makes this truly unique; it's like a whipped mousse, very light yet seriously creamy. Almost as soon as it comes in contact with your skin it begins to melt into an oil and turns completely into oil as you massage it in. The only thing I would say about this is that as the oil turns quite thick, it feels a bit greasy and takes quite awhile to absorb into the skin. However once it has absorbed the scent lingers all day and you are left with extremely soft, supple, hydrated and nourished skin. 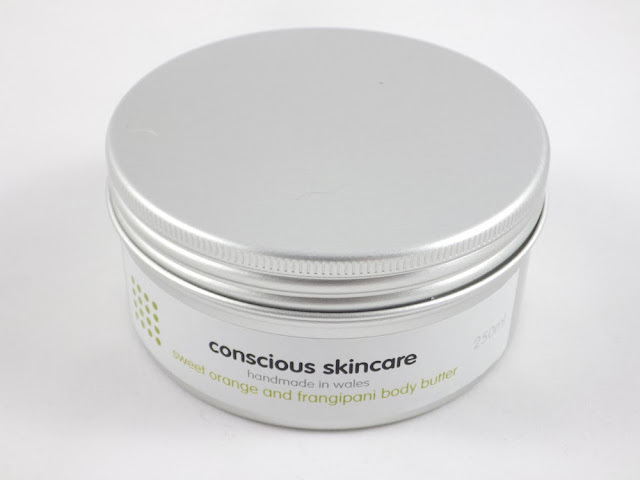 The Conscious Skincare Sweet Orange and Frangipani Body Butter is truly a unique product in terms of its formula. I highly recommend this if you like sweet scents, natural ingredients and super nourished skin! The only slightly negative thing I would say about this body butter is that it takes quite awhile to absorb. I'm often in a rush or short of time, so it's not the one I reach for the most purely for this reason. This body butter is also available in Grapefruit, Lemon and Cedarwood, which Conscious Skincare describe as more of a unisex fragrance. Other products in the two scents include bath salts, bath soak and body lotion. Click here to take a look at Conscious Skincare's website and their complete range. Have you tried any products by Conscious Skincare? This sounds like what my dry legs need at the moment! Does it keep the skin moisturised all day?